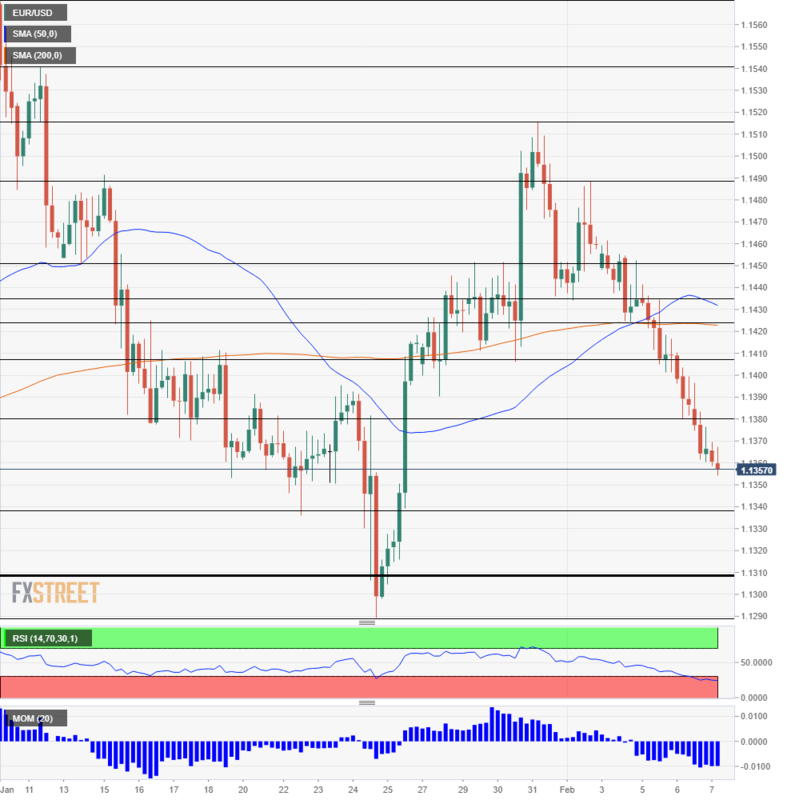 EUR/USD extends its gradual decline on a growing fundamental divergence. Updated EU Forecasts are in the limelight, and also US jobless claims are of interest. The four-hour chart shows oversold conditions, implying a bounce. Euro dollar is trading close to 1.1350, in a slow yet persistent grind to the downside. The divergence between the OK US economy and the slowing euro-zone one was reinforced by fresh developments and weighs on the pair. Support awaits around 1.1340 which was a swing low in mid-January. 1.1310 was a double bottom in December and is the next line to watch. 1.1290 is the trough for 2019 low and the 2018 low at 1.1215 is next down the line. 1.1380 is the initial resistance line after temporarily capping the pair in late January. 1.1410 was a swing low around the same time and now works as support. 1.1425 is where the 200 Simple Moving Average meets the price. 1.1435 and 1.1450 are next in a busy area of resistance.